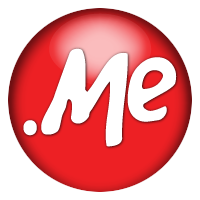 .club is a new gTLD with great applicability. Currently, clubs and membership systems prevail in society, so to have such a domain on site is very attractive. .club is exclusively built for clubs, ranging from sports and entertainment industries to cultural industry. No matter what kind of website you are to create, by using .club domain, you site will become popular and attract many potential members. Because .club can give users a sense of belonging and the expert's superiority in a circle, it is much easier to get users than others, with high popularity. For the websites of fan clubs, sport clubs, and hobby clubs, this domain is very suitable. By far, its inventory ranks fifth in the world. .club has been widely applied to celebrities' fan club websites abroad. Now, in China .club domain name registry is applying to MIIT for archival filing. Once approved, .club will set off in China, with huge future development potential.